Released in 2000, American Psycho is in parts hilarious, in parts surreal and in the remaining parts plays out like a horror flick. Based on Bret Easton Ellis’ novel of the same name, the Mary Harron directorial has, over the years, become a cult film. And not without reason. Christian Bale in a still from American Psycho. Sometimes it becomes difficult to categorise movies into specific genres. Some films are stubborn and/or experimental by nature and they refuse to be labelled. Christian Bale starrer American Psycho is an example in case. Released in 2000, this movie is in parts hilarious, in parts surreal and in the remaining parts plays out like a horror flick. Based on Bret Easton Ellis’ novel of the same name, the Mary Harron directorial has, over the years, become a cult film. And not without reason. When the basic premise of the plot revolves around the actions of an unreliable, unhinged and darkly comic character; you have already got yourself a winner. But despite all the gore and murder, I remember thoroughly enjoying the movie for what it was. A classic case of why-dunit. Why does Patrick Bateman kill people? Is it because he is bored, or because he is filled with hatred or he really does bear some sort of personal animosity against entire humanity? Or worst of all, he is an empty shell of a human being? The movie keeps you guessing, but what adds to the story is the fact that Bale’s performance as a nutjob is on point. His rhetorical questions and his response to situations when he is not painting the town red with someone’s blood, is side-splitting. A wealthy investment banker (Bale) unchains his inner demon on the streets of New York and all hell breaks loose. American Psycho could have been an overly-indulgent, narcissistic piece of cinema. But it reins itself in where it should and what we ultimately get is a fine and weirdly entertaining motion picture. Kudos also to the scriptwriters Mary Harron and Guinevere Turner whose excellent writing makes you cough on your tea several times during the course of the film. Frequently a cough of laughter and joy, something that one would hardly expect from such a narrative. While you don’t necessarily understand the motivation of the character, he pulls you in, setting traps all over to lure you with mere words, then music and then numerous murders. 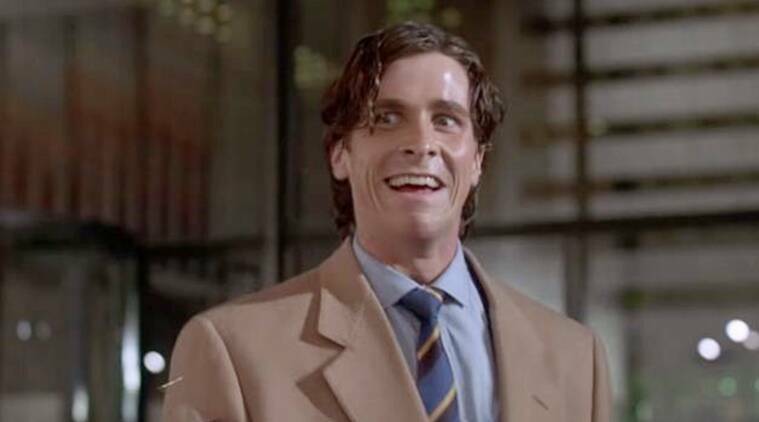 It’s hard to believe that it’s been more than 15 years since Christian Bale terrified people everywhere with his haunting performance as Patrick Bateman in American Psycho. And while the film has since become a cult favourite, even a decade and a half later, there are still a lot intricacies still being revealed about this brilliantly crafted horror film. The film ran into several issues when it came time to dress Bateman. Many fashion designers didn’t want to be associated with the killer’s wardrobe. Cerruti allowed Bateman to wear their clothes — but not when he was killing people. Rolex allowed any and all characters except Bateman to wear their watches, while Comme de Garçons refused to authorize the use of one of their bags to carry a corpse (understandably). Christian Bale stayed in character for lunch meetings with American Psycho writerBret Easton Ellis, who became so uncomfortable he had to ask the performer — who is known for his method acting — to stop. Bale’s dedication to his craft didn’t end there. During production, he spoke with an American accent at all times — and it was so convincing, that when he spoke with his native British accent at the wrap party, many people on the film’s crew thought that was a fake accent he was perfecting for an upcoming role. Christian Bale based his performance for Patrick Bateman off of Tom Cruise. During production, Willem Defoe (who played Detective Donald Kimball) was asked to film each scene three different ways: 1. As if Kimball knew Bateman killed Paul Allen (Jared Leto), 2. As if Kimball didn’t know Bateman killed Allen and 3. As if Kimball wasn’t sure if Bateman killed Allen. The director then edited the takes together, leaving what Kimball thought of Bateman ambiguous to the audience. Despite being prominently featured in the film, Huey Lewis and the News’ “Hip to Be Square” wasn’t included on the film’s soundtrack. While it was long speculated (and reported) that the musician opposed the film’s violent themes, he actually opted not to be featured on the flick’s soundtrack because he didn’t want to make his fans purchase an entire album just to own the one song. The distinctive “Whoosh” sound heard during the film’s infamous business card scene is the slowed-down sound of a sword being drawn from its sheath. To get into character, Christian Bale actually followed the extensive morning routine that Patrick Bateman does religiously.